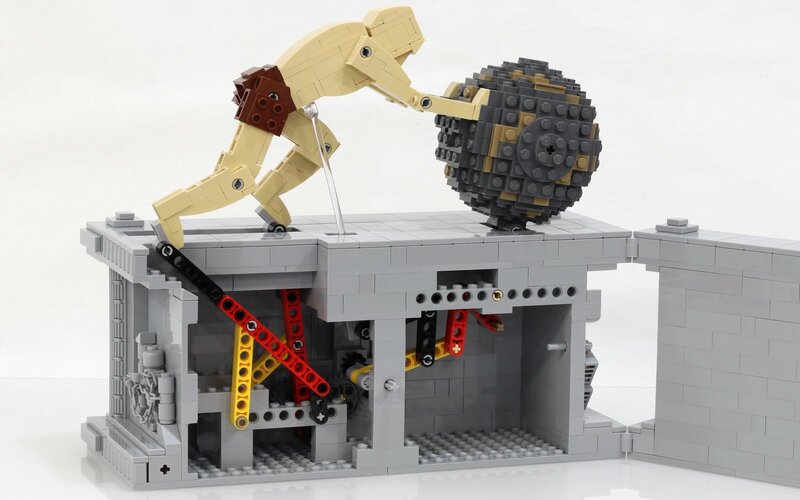 A kinetic sculpture of the Greek mythological figure Sisyphus, endlessly pushing his boulder. 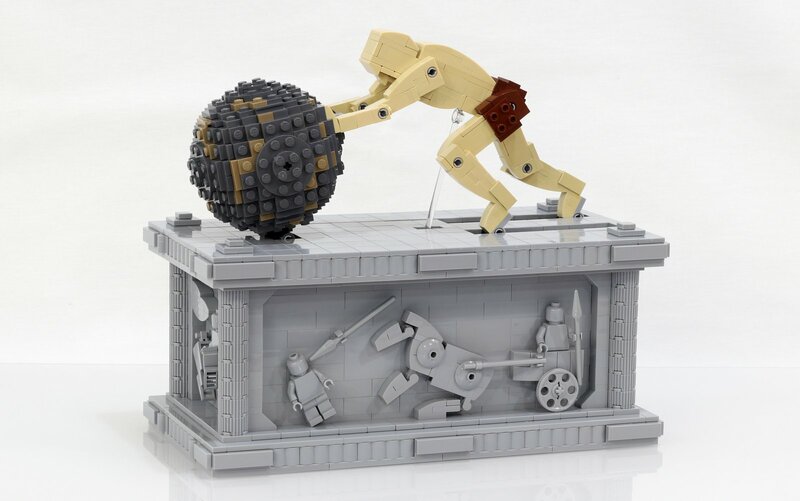 The base depicts scenes from Sisyphus' life and opens up in the front and back to reveal the inner workings of the model. 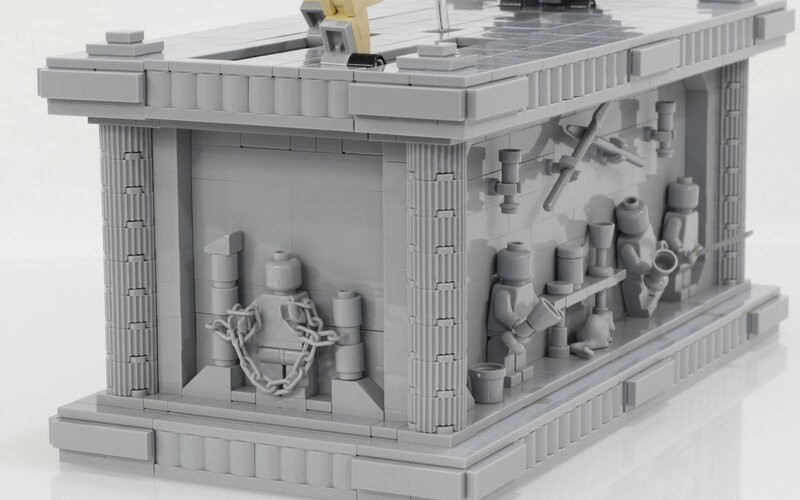 This is the manually powered version of this model, operated with a crank in the back of the base.